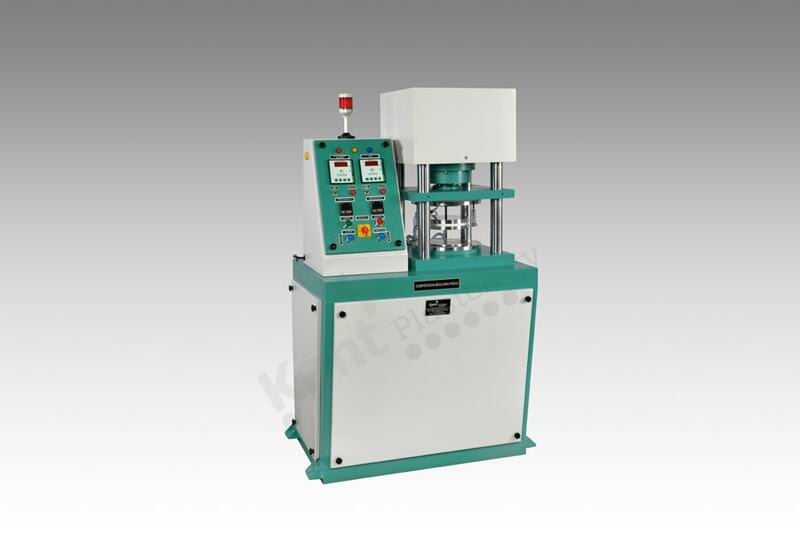 Kant Plastology is dedicatedly involved in offering wide array of COMPRESSION MOULDING PRESS. The product is manufactured by using optimum grade raw material and latest technology at our state of art manufacturing unit. The rigid structure with elegant look is basic features of the floor mounting machine. The product has good temperature accuracy due to using of micro processor based double display digital PID controller. Timer range / resolution Up to 999.59 min. / 1 sec.